This is a collaborative blog post written by attendees at DevOps Days Belgium 2014. As such, feel free to repost under a Creative Commons Attribution-NoDerivatives 4.0 license. Please retain this header as well. In my 25 years of experience in DevOps, there has never been such a defining movement as DevOps for Ducks. Devops for Ducks is showing up in Gartner’s magic quadrant for the first time this year. Traditionally, the problem with Ducks are that they are fowl and are not goats. DevOps makes everything better. Even food. But as we look at the production of quality Duck in the world we begin to understand that it is fundamentally broken. That’s where DevOps comes in. DevOps, has the power to change how we produce ducks in several environments. It allows people to collaborate on the Ducks. Zhang Chi Woo of China, creator of the Duck Production System – or DPS for short — has revolutionized not only Duck production, but the entire way the world thinks about Ducks. When initially planning the pipeline for Duck production, you must take the “Duckly Metrics Factor” into consideration. As the “DMF” is defined, it will provide insight into the duck and allow you to make sure it is DevOps. Most importantly, no one should forget that if it walks like a duck, and quacks like a Duck, then it is certainly a Duck, so we should define a metric for how our production Ducks are walking and quacking. Try Graphite. Ducks love it. There is even a collectd plugin available for duck egg incubation systems (well the only problem is all the native dependencies it pulls in). The recently created DuckCare system closely monitors all the Ducks and can notify based on key log entries. If a Duck needs attention care workers are dispatched right away through DuckDuty. Whereas before we often had to wait for eggs to hatch, a process which takes valuable productive time away from the duck producing units, we now foster a culture of continuous duck production. This way of working will inevitably lead to things that break. But that’s ok. We don’t point the finger at somebody who made a mess of dropping duck eggs in the kitchen. In the DevOps culture, we do a standup, avoiding the sticky part of the floor, and then we all get a mop, clean up and go release some more ducks in the water. An important part of the DPS, is constant exercise of Duck functional testing at any stage of the producing unit, because we all value quality. With visual duck analytics we see that people in the industry are finally getting all their ducks in a row. As in many things, visualizing your work is important, and visual duck analytics allows this. At “Duckly”, we’ve been using Flowduck to speak to Ducks on a daily basis. It replaced the previously used HangDucks (which is just mean), Hipduck (which was nice at the beginning), IRDucks (which eventually made the ducks radioactive), Duckfire (OI!) and Duckmail (which is way faster than snail mail of course). Collaboration becomes hard when trying to control more than 2 or 3 teams producing Ducks on a daily/decadely basis. That’s why we wrote “Duckme”. Duckme (http://duckhub.com/duckly/duckmemore). is an open-source DevOps-is-everything tool. It provides an easy and accessible way to create “Duck Correspondants”. Those DC’s, are in charge of making sure DuckDevs and DuckOps talk to eachother (and to ducks). Duckme provides a DUCKLESS API for sending eDucks and altering Ducks. You don’t need culture to produce ducks (especially DevOps). A toxic culture will also work just fine. Make sure you put high pressure on the Ducks at all times. As part of these worldwide changes to the flow of Ducks, new tooling for Ducks has evolved. 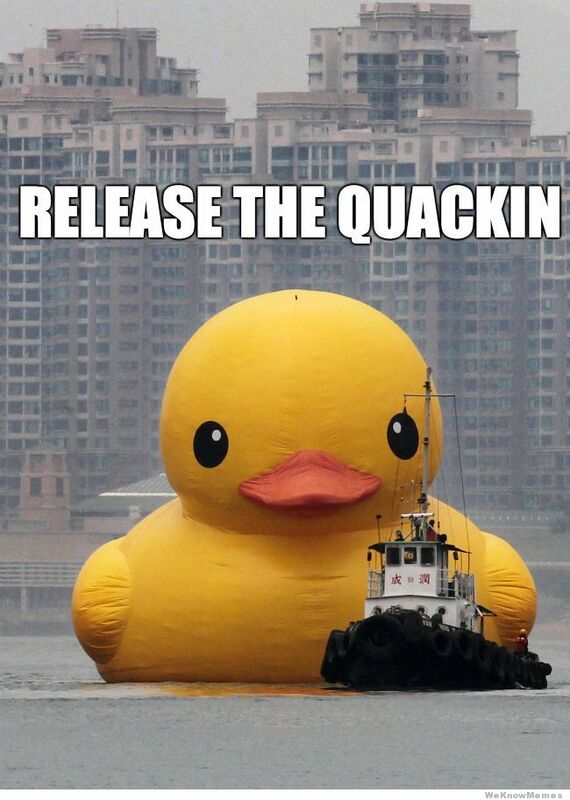 Ducker provides the containerization of Ducks through lightweight methods known as Rubber Duckies. While the technology for Rubber Duckies has been around for many years, Ducker makes Rubber Duckies easier to consume through technologies such as DuckerHub. Additionally, Ducker overcomes the limitations of traditional Duck Virtualization Platforms (DVP), and Duck Configuration Management (DCM) systems. With the growing movement of DevOps for Ducks (initially started by Patrick Duckois), it’s important that we begin to think about the worldwide implications of the free flowing of ducks. With the great ducks come great responsibility, and that is the great challenge as we begin to think more about what we call DuckOps. This entry was posted in Blog, DevOps and tagged devops, ducks by mfdii. Bookmark the permalink. Thanks Michael. Writing it together with you guys was a lot of fun.